Process Design: Making It Work helps process consultants, managers, facilitators, coaches, organizational development consultantsand anyone else who works with groupsto set up and deliver dynamic, creative process designs. Filled with illustrative cases, examples, and templates, this step-by-step resource is an invaluable aid when creating customized agendas and designs for situations ranging from basic meetings to complex, multiphased processes. "With her exceptional insights into questions and process, Dorothy Strachan has distinguished herself as a true master in the field of facilitation." 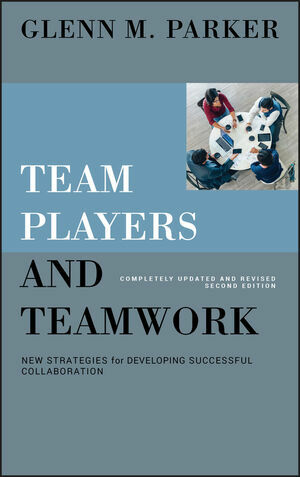 "This book has the rigor of excellent research and the polish of many years of practical experience." "A master class in group process." 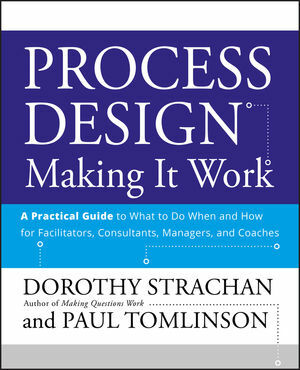 "Reading Strachan and Tomlinson's work has reminded me why I find process design and facilitation so compellingit's a bottomless well of learning." Dorothy Strachan and Paul Tomlinson have been working together in process design and facilitation since 1974, serving clients across all sectors. They are partners in Strachan-Tomlinson and Associates (ST), a process consulting firm based in Ottawa, Ontario, Canada. PART ONE: A STEPWISE APPROACH. Step 1. Complete a Process Terms of Reference. Step 2. Block the Agenda. Step 3. Develop and Confirm How the Agenda Will Flow. Step 4. Build a Preliminary Design. Step 5. Check the Preliminary Design with Others. Step 6. Complete the Design. 2. Guidelines For Process Design. Make Upstream Prevention a Priority. Create an Environment That Supports Learning. PART TWO: THE PEOPLE FACTORS: PERSPECTIVES, POWER, AND VALUES. 3. The Perspectives Factor in Process Design. 4. The Power Factor in Process Design. 5. The Values Factor in Process Design. PART THREE: DUE DILIGENCE: A PROCESS TERMS OF REFERENCE. 6. About a Process Terms of Reference. Sample Questions for Exploring the Situation. Sample Questions for Developing a Purpose Statement. Practice Guidelines: Purpose, Objectives, Outputs, and Outcomes. Sample Questions for Developing Objectives, Outputs, and Outcomes. Examples: Purpose, Objectives, Outputs, and Outcomes 129 Propositions. Sample Questions for Identifying Stakeholders. Sample Questions for Developing Assumptions. Sample Questions for Developing Key Considerations. Sample Questions for Developing a Work Plan. Example: A Simple Work Plan. Example: A Complex Work Plan. Sample Questions for Developing a Governance Structure. Sample Questions for Identifying and Developing Essential Documents . Account Planning for a Regional Sales Group. Three Boards Speaking with One Voice. Access to Organ Transplantation in Canada: Phase 1-Kidney Allocation. PART FOUR : EXPERTS AND EVIDENCE IN CONCERT. 16. Why Evidence-Based Solutions Now. Why Best Evidence Is Important. 17. A Design for Developing Evidence-Based Questions. And Finally . . ..
PART FIVE: SAMPLE PROCESS DESIGNS. 18. A Town Hall Meeting with XYZ Finance Department. 19. A Workshop on Mission and Values.